Every job is planned and reviewed by a licensed general contractor; if drawings are required we will complete drawings and apply for permits. We know all the rules and will always meet the building requirements of each city, town or county. The finest craftsmanship and our service is always based on meeting our customer's requirements. We strive to WOW our customers. Sierra Structures routinely works with large entities, local and state governments and large corporations to provide cost effective temporary and permanent fencing solutions. Sierra Structures' team of fencing design and installation experts solve the toughest fencing needs for every project. See the photos in our photo gallery. Since opening for business well over 20 years ago, the team at Sierra Structures has worked tirelessly to become known around the community as the Raleigh best fence builders. We specialize in a wide variety of fencing solutions for both residential and commercial clients. In fact, our work can be spotted, not just inside Raleigh city lines, but throughout the entire east coast. A long list of clients has relied on our Raleigh fencing contractors to help them find and install the most effective fencing solutions for their needs. While we might offer a wide range of fencing solutions, one thing remains the same. You can count on personal service from highly trained, experienced technicians when you work with Sierra Structures. Our staff strives to provide, not only the very best fencing solutions, but also a superior customer experience. 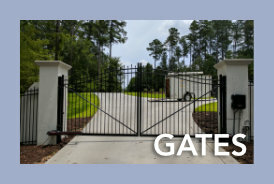 Our fencing contractors in Raleigh NC will work hard to stay on time and on budget. We know that these two things are very important to our clients - we don't want your fencing project to prove inconvenient, expensive or invasive to your property. As the Raleigh best fence builders, we also are focused on providing affordable service. Our Raleigh fencing contractors can provide you with a free quote before starting your project. This is a quote that we stand by - you don't have to worry about hidden or bogus fees when the project is over. 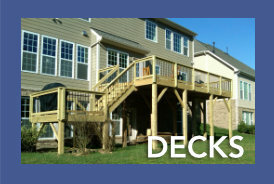 Looking for one of the best decking companies in Raleigh NC? While many clients throughout the area know us for our specialization in fencing solutions, we also provide a wide range of other structure building services. We're one of the leading Raleigh decking companies, helping to bring wood and composite decks to your home or commercial facility. These can be customized to fit your needs and budget - if you can envision it, we can build it! Sierra Structures can also handle projects such as screened-in porches and patios, arbors, pergolas and more. Whether you need to fence in acres of property or would like to surround your new above-ground pool with a deck, Sierra Structures can meet the needs of your project. Talk to the Raleigh best fence builders right now by scheduling a consultation appointment. Ready to rejuvenate your outdoor space? Click the button below to get started today!